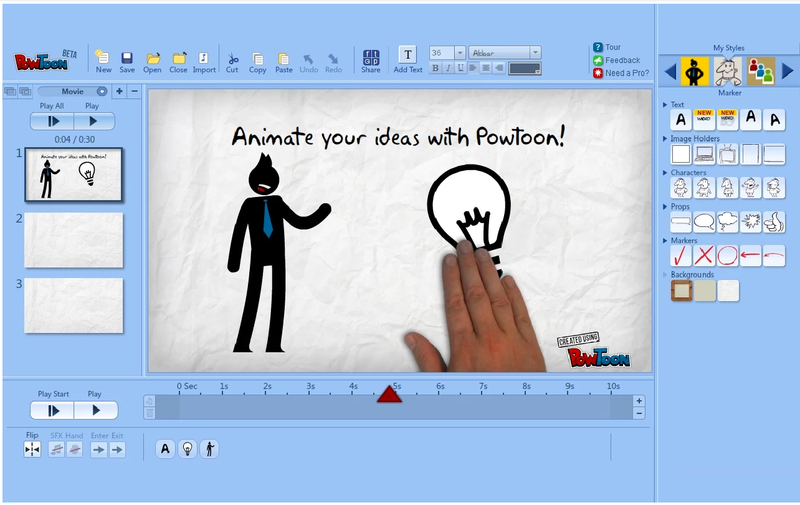 PowToon is a very powerful web app which you can use on Google Drive to create beautiful animated videos and presentations. PowToon provides you with all the necessary animation tools you’ll need to immediately begin creating your own professional-looking animated explainer videos and animated presentations. It has an easy to use interface with pre-designed templates and a variety of style libraries to choose from. The videos you create in PowToon can also be easily converted into animated presentations with each slide representing a scene in the storyline of your presentation. 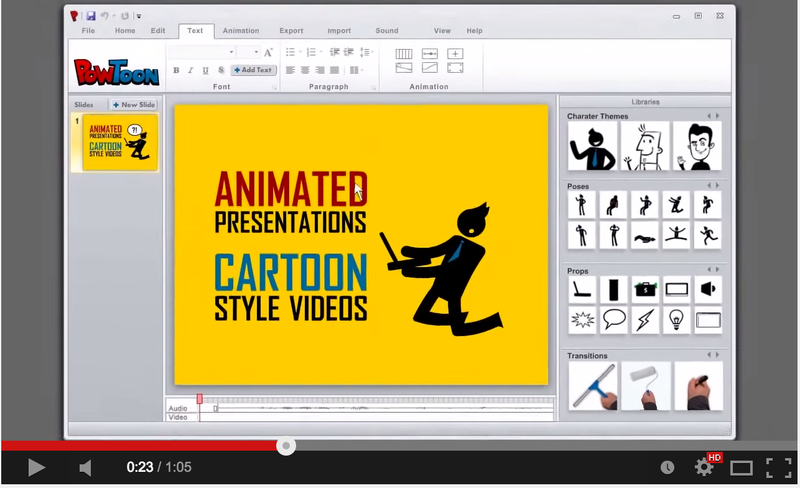 To create your videos, simply drag and drop characters and props then assign them animations. Using the the export button, you will be able download your animated videos to your computer or share them on popular social media outlets like YouTube and Facebook. You can also export your animations in MP4 files to embed in your blog or website or to play in a dedicated screen. All PowToon animations look the same on Mac, Linux, and Windows.